Evacuated residents stand in line Friday before the community meeting to get their re-entry tags. During the meeting, it was announced the system, which was causing hours-long lines, was changing. People who had identification with their current address could use that, all others had to get re-entry tags. After the announcement the line all but disappeared. 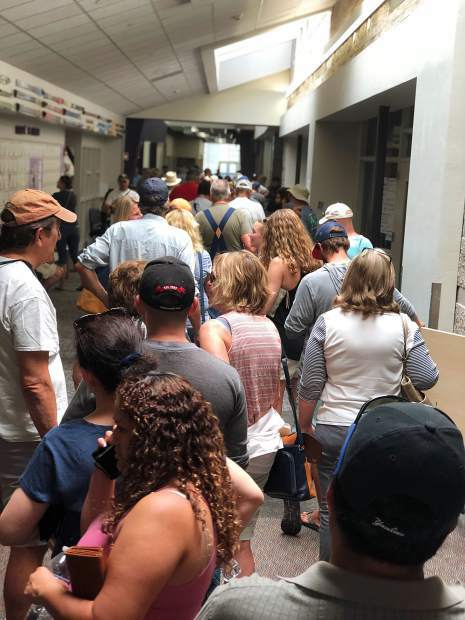 Eagle County officials apologized Friday night to evacuees of the Lake Christine Fire for a home re-entry process that required hours of waiting in line for a special tag. Then they simplified it. 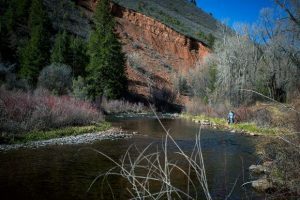 The change coincided with a surprise announcement of a partial lifting of the mandatory evacuation for residents north of Highway 82 and west of El Jebel Road-Upper Cattle Creek Road as of 7 p.m. Friday. That will allow an estimated 150 evacuated families, mostly in Missouri Heights, to return home. Garfield County lifted a voluntary evacuation for its portion of Missouri Heights. 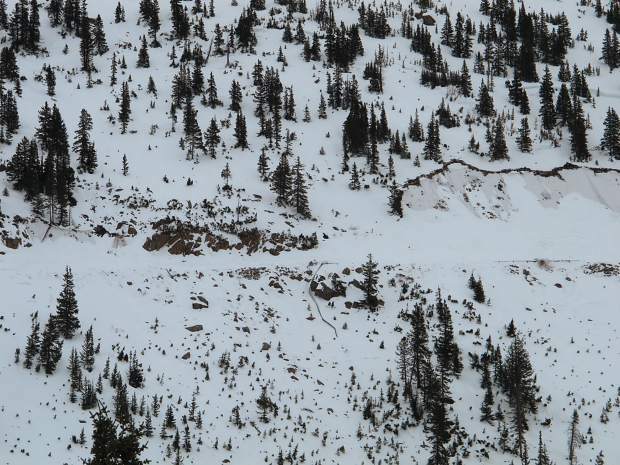 Upper Cattle Creek Road will remain closed so access to the re-opened area will be via Catherine Store Road then Fender Lane, according to Eagle County Undersheriff Mike McWilliam. “All of the closures in the Basalt area are still in effect,” McWilliam said. That means residents east of El Jebel Road must wait to return home. 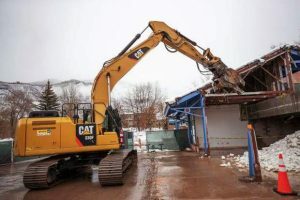 That includes the El Jebel Mobile Home Park, Shadowrock Condominiums, Aspen Junction and the Hill District of Basalt and numerous smaller neighborhoods in between. Missouri Heights residents on the east side of El Jebel Road/Upper Cattle Creek Road must also wait to return. The mandatory evacuation will continue for an unknown time — until conditions are safe, said Roger Staats, deputy incident commander for the Northern Rockies Incident Command Management Team. 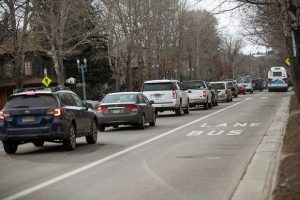 Eagle County was requiring evacuated residents to get re-entry credentials at Basalt High School, but the process was slow and resulted in people standing in line for hours throughout the day. “I want to apologize for our home re-entry system,” Eagle County Commissioner Jill Ryan told a crowd in excess of 200 people at Friday’s community meeting at Basalt High School. The process was designed to prevent burglars and gawkers from gaining access to the area on the western perimeter of the fire, she said. 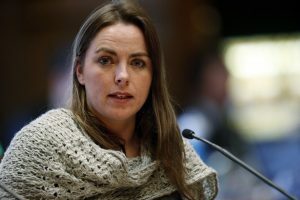 Eagle County Sheriff James van Beek agreed to alter the process so that a current driver’s license with a valid address in the area or other proof of residency in Missouri Heights could be presented, Ryan said. Anyone without proof of residency will have to work with officials at Basalt High School to get a re-entry tag. The hours will be 10 a.m. to 8 p.m. Saturday. Fire officials estimated Friday that 1,971 people in all neighborhoods had been evacuated because of the fire. Basalt has implemented restrictions to preserve water in its system for the firefighting effort. If you want your house saved, don’t water your lawn or wash your car. “We were seeing drops in the water tank,” said Basalt Town Manager Ryan Mahoney. Don’t get upset when you see the fields watered at Basalt Elementary School. The school district is on its own well and must water new landscape that it invested it, Mahoney said. Also remember that part of Basalt is served by the Midvalley Metropolitan Water and Sewer District, which hasn’t needed to implement restrictions. The Basalt Sunday Market is canceled this week and the Basalt pool is closed for the weekend, at the least. Those steps were needed to prevent downtown from getting clogged with people when the firefighting effort is ongoing. Kris Mattera, executive director of Basalt Chamber of Commerce, has pulled together a website that consolidates numerous information sources regarding the fire. It can be found at sites.google.com/basalt chamber.com/lakechristinefire. Animal alert: Evacuees or people concerned about their large animals can take them to the Garfield County Fairgrounds in Rifle. Families with pets can go to the Orchard in Carbondale. Pets also can be taken to Colorado Animal Rescue near Colorado Mountain College’s Spring Valley campus. Call 970-947-9173 for hours.